Robbins Polygraph Service - Professional polygraph services in Wasaga Beach and surrounding areas. David Robbins is a highly respected, experienced and certified polygraph examiner with over 30 years experience. He will provide you with an expert, accurate, discrete, confidential polygraph service. The polygraph may be done at our office located in Newcastle or we will travel to your location. We travel throughout the Province of Ontario and elsewhere if requested. We use Limestone Technologies computerized polygraph instruments. David attends annual seminars to stay current in the polygraph field. 1977 - Graduated University of Toronto with a Bachelor of Arts degree in Sociology. 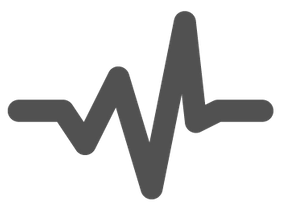 1980 - Completed the Polygraph Examiner’s Course at the Canadian Police College, Ottawa and after completing a one-year internship designated Certified Polygraph Examiner. 1982 - Awarded the Certificate in Advanced Police Studies by the Ontario Police College in co-operation with The University of Western Ontario. 1984 - Completed the Polygraph Examiner’s Advanced Course. 2005 - 2009 Conducted tests under contract to R.C.M.P. During his service with the O.P.P. David worked in many areas including Traffic, Criminal Investigation, Wiretap Investigator/Coordinator, Witness Protection, Drug Enforcement and Polygraph. He retired as a Detective Staff Sergeant.